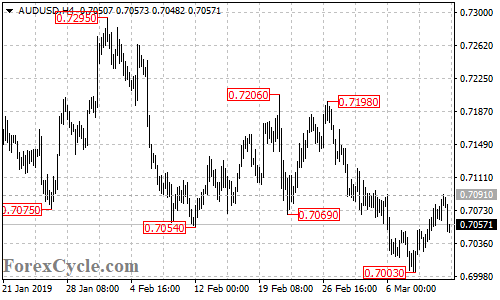 AUD/USD remains in the uptrend from 0.7003, the pullback from 0.7091 is likely correction for the uptrend. Another rise could be expected after the correction and next target would be at 0.7170 area. Key support is at 0.7003, only a breakdown below this level could trigger further downside movement towards 0.6900.